1999* Nigeria has just returned to democratic governance after many years of military rule. Expectations were high as Nigerians looked forward to sustainable development, peace and security. The contribution of everybody was required for the nation to succeed. It was against this background that Her Excellency; Chief (Mrs.) Amina Titi Atiku Abubakar took her steps. She convened a National Workshop on human trafficking. 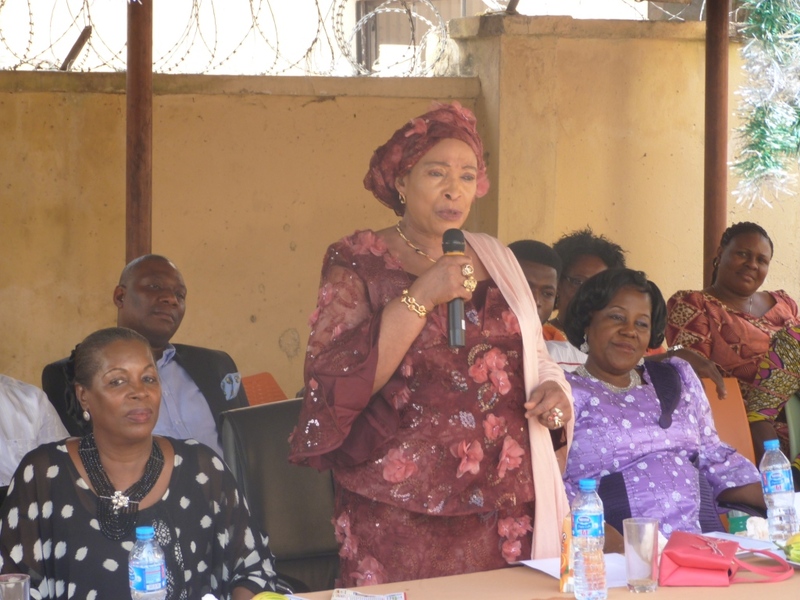 The workshop was attended by a wide spectrum of Nigerians including wives of governors, local government chairmen, civil society organizations, many representatives of state and federal government agencies. The workshop revealed the menacing level of this scourge in Nigeria. WOTCLEF was born 2000* WOTCLEF was registered as an Incorporated Trusteeship by the Corporate Affairs Commission thus giving the foundation the legal status to operate in Nigeria. * A broad based Anti- Trafficking Bill Drafting Committee was inaugurated under the Chairmanship of Hon. Justice Mary Odili. The objective was to draft a private bill harmonizing the various laws on human trafficking in Nigeria, using the United Nations Protocol to Prevent, Suppress and Punish Trafficking in Persons, Especially Women and Children as a model. 2001* WOTCLEF submits the Draft Bill to the National Assembly. This was the first Private Bill submitted to the National Assembly in the Fourth Republic. * The first ever Pan African Conference on human trafficking was convened by Her Excellency, (Mrs.) Amina Titi Atiku Abubakar with the purpose of discouraging Africans, nay Nigerian Youth from allowing themselves to be used in the illicit trade by desperate money mongers. The long-term goal was to evolve an African solution to the problems posed by this global menace. Over 2000 participants from 16 African and other countries of the world attended the conference. * First set of 150 repatriated victims were received from Italy and a re-integration and counselling programme held for them in Abuja by WOTCLEF for assistance after reuniting with their families. Subsequently, many came to the centre and became the first set of victims that enjoyed the assistance of the organization. 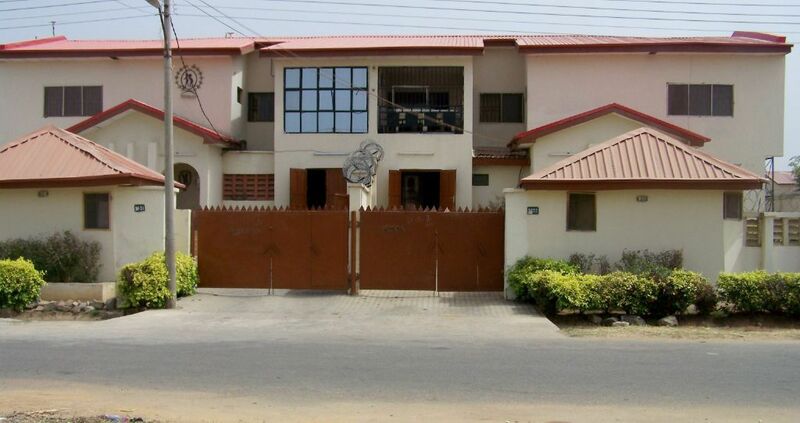 2002* WOTCLEF’s Rehabilitation Centre officially commissioned by the then FCT Minister Alhaji Muhammed Abba Gana. The centre was the first of its kind in Nigeria to offer specific support to trafficked persons, abused and neglected children. The support offered in the centre includes: shelter, food, clothing, health, psycho-social counselling, vocational skills training, education, family tracing and unification. * Five Nigerian children two girls and three boys aged between 10 and 14 years were rescued from the Federal Republic of Gabon. WOTCLEF staff travelled to Gabon and brought back the children to Nigeria. They were received at the WOTCLEF Rehabilitation Centre. 2003* WOTCLEF’s anti-trafficking bill passed by the National Assembly and signed into law by former President Olusegun Obasanjo. It is this law that provides for the establishment of the National Agency for the Prohibition of Traffic in Persons and Other Related Matters (NAPTIP). 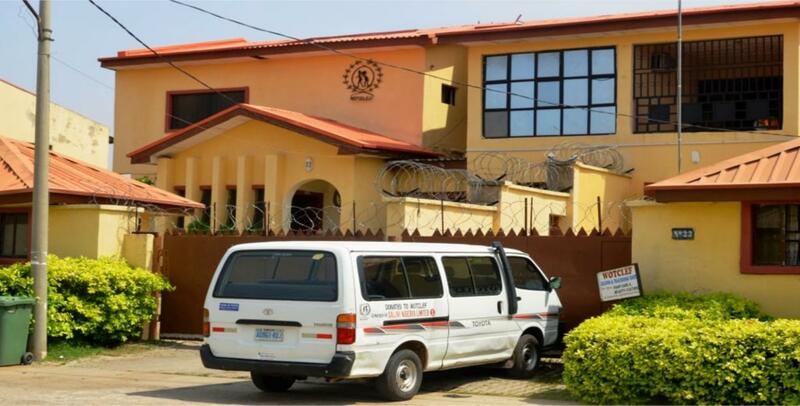 The law makes Nigeria the first African country to enact an anti-trafficking law. * The United Nations granted a Special Consultative Status to WOTCLEF. This status gives WOTCLEF the rare opportunity to maintain in regular presence as an NGO at relevant UN activities. * The Ogun State chapter of WOTCLEF rescued 30 (thirty) Beninnois Children from quarries in some parts of Ogun State, offered them rehabilitation services before handing them over to representatives of the Beninnois government. The handing over ceremony was conducted at the Seme Border and was witnessed by the pioneer Executive Secretary of NAPTIP, Mrs. Carol Ndaguba (OON) and a representative of the comptroller General of the Immigration, Mrs. Davies-Jane Olufunke. 2004* WOTCLEF organized the historic Battle of Hope a charity Concert aimed at mobilizing awareness on human trafficking, child labour and the spread of HIV/AIDS. It was a mix of Music and Boxing. The event which took place at the main bowl of the ultra-modern Abuja National Stadium was meant to give hope to the victims of these scourges. * In its desire for a continental platform for the advancement of the African woman, WOTCLEF partnered with Ted-Zachary and Associates Nig. Ltd to organize an International Conference on the African Woman and Gender Development tagged The Women Are Coming. The conference attracted participants and speakers from many African countries and beyond and offered opportunities governments, international agencies and indeed those who are interested in Africa’s development to demonstrate their support for the African Woman and Gender Development. The conference produced the Abuja Accord. * In consonance with its vision for a Nigerian society free from all forms of child labour and which provides a conducive climate for the proper development of the Nigerian child, WOTCLEF developed a comprehensive Advocacy Strategy for Combating the Worst Forms of Child Labour in Nigeria. The development of this strategy which involved a wide spectrum of other stakeholders from both the government and non-governmental agencies was made possible with a grant from the International Labour Organization International Programme for the Elimination of Child Labour (ILO-IPEC). 2005* WOTCLEF withdraw fifty (50) child labourers engaged on cocoa farms in Ile-Oluji/Okeigbo and Idaire Local Government Areas of Ondo State from cocoa farms and supported them to benefit from formal schooling. This was made possible with financial assistance from the International Labour Organization West African Cocoa/Commercial Agriculture Project (ILO-WACAP). * WOTCLEF understands and realizes the imperative of promoting joint efforts to combat human trafficking, child and abuse. Accordingly, it mobilized other non-governmental organizations and civil society organizations involved in these areas to form a network called Network of Civil Society Organizations Against Child Trafficking, abuse and Labour (NACTAL). This was made possible with technical and financial support from UNICEF. There are today over thirty Civil Society Organizations across the six geo-political zones of Nigeria who are registered members of NACTAL with WOTCLEF serving as the national coordinating office. 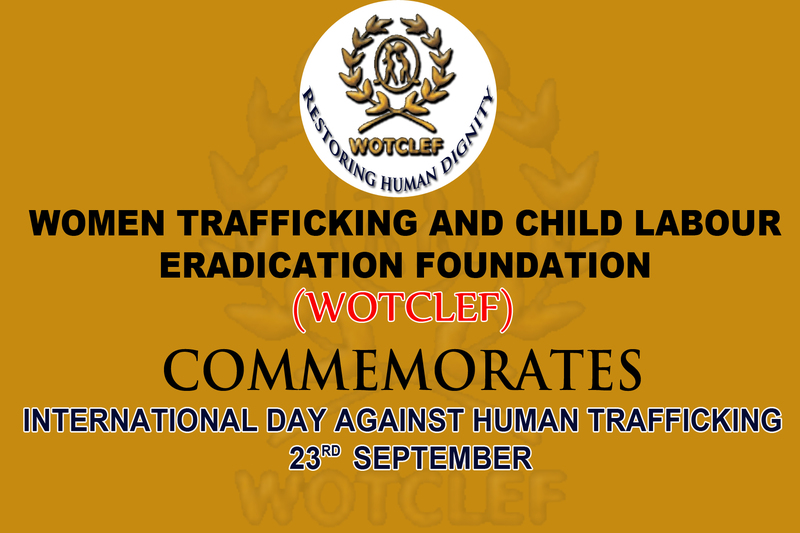 2007* in pursuance of one of WOTCLEF’s objectives to raise public awareness on trafficking in persons and its adverse effects on the country, WOTCLEF simplified the Trafficking in Persons (Prohibition) Law Enforcement and Administration Act 2003 as amended in 2005. This exercise was made possible with support from USAID through a grant from Pact Nigeria Office. 2008* to further popularize and raise public awareness on the provisions of the Trafficking in Person (Prohibition) Law Enforcement and Administration Act 2003 as amended in 2005,especiaiiy among Nigerians who cannot read and understand the simplified law, WOTCLEF took a very bold step by translating, printing and disseminating the law into the three main Nigerian languages and pidgin English. The Embassy of Switzerland supported the Igbo translation; the USAID through a grant from the American Bar Association Nigeria office financed the Hausa and Yoruba translation, while the Embassy of the Netherlands financed the translation and printing of the Pidgin English Version. 2009* At a glamorous and colorful event, the initiator and founder of WOTCLEF Chief Mrs. Amina Titi Atiku was presented with an Honours Award for her pioneering efforts in the fight against Human Trafficking in Nigeria especially in the sponsorship of the Bill that established NAPTIP. This award was NAPTIP’s public recognition of WOTCLEF’s founder who has been referred to as the William Wilberforce of Nigeria. 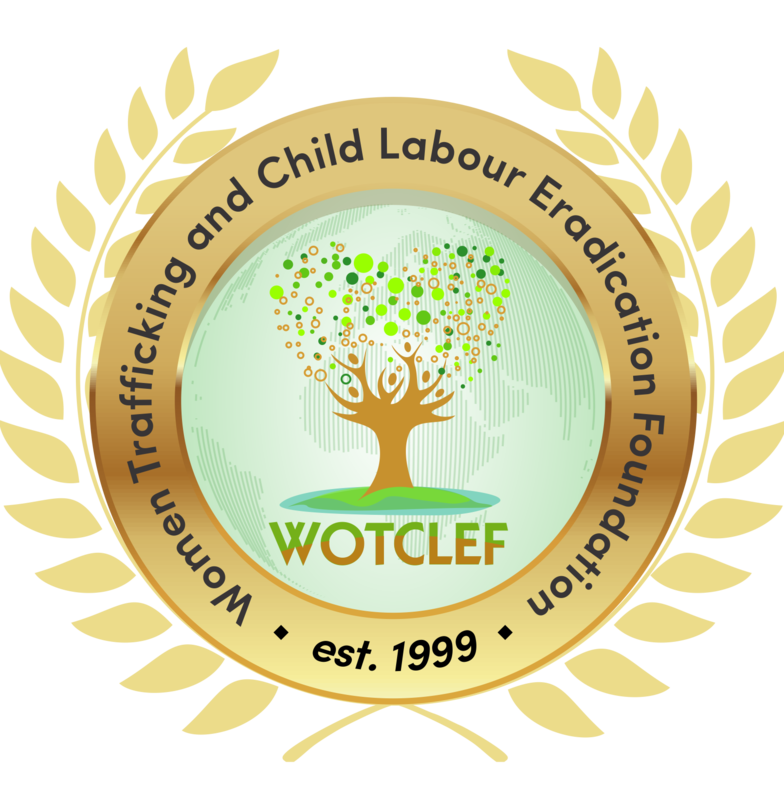 It is important to note that in the 10 years of its existence, WOTCLEF has launched the anti human trafficking campaign in all the states of the Federation and Abuja.